Our next music open day is on Monday 6 May, 4 – 6pm. Want to get your music out there but don’t know where to start? Making music but not sure how to get paid? Not sure how to go about landing your first gig? Get answers to all these questions and more at our monthly Music Open Day. If you make music, manage an artist or you’re part of a band, it’s a great excuse to swing by our studios in Alexandria and drop in your demos and get some personalised advice from our music director Amelia Jenner. Each month FBi swings open its doors to local bands and musicians, offering an insight into what we do with the music you send us. Usually held at the FBi studios in Alexandria, Music Open Day allows artists the chance to meet and gain valuable advice. 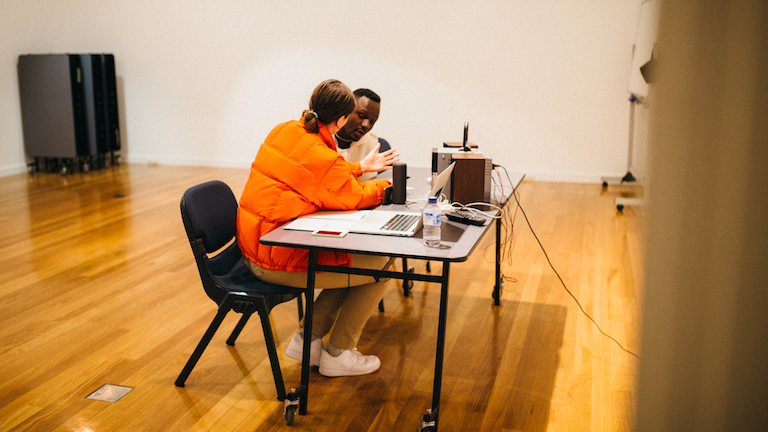 Every now and then we hold off-site sessions as well, to provide specialist workshops and help connect with more of Sydney. It’s great if you can share your music with us in advance via fbiradio.com/submit so we can discuss it in the meeting. You can find us at 44-54 Botany Rd, Alexandria, NSW. Give us a call on (02) 9332 2900 if you have any questions!